Zip lining across the Belize River! I recently had the opportunity to try out one of the newest zip lines in Belize, and dang was it fun! Seven lines of pure adrenaline, awesome views and one hell of an adventure! 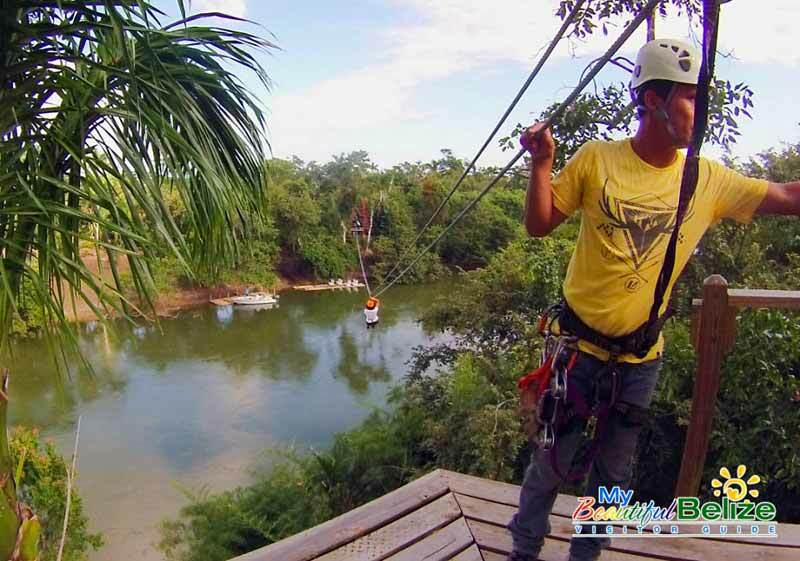 This zip line is located at the new ecotourism attraction in northern Belize – the Rainforest Adventure Zone, or RAZ for short. 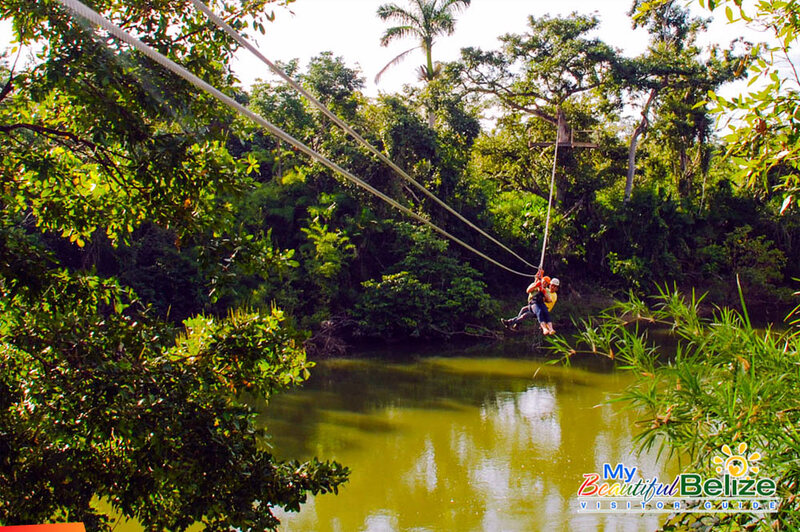 While there are several zip lines across the country, most are found in the Cayo or Stann Creek Districts. RAZ’s zip line is found in the Belize District and the scenery you get to see from up above is a bit different. The most unique aspect of the zip line is that you go over the Belize River. The green hues the river reflects are different than the clear fresh mountain water which you typical go over on zip lines in Cayo. Let’s not forget, the foliage is different – semi-deciduous forests cover most of northern Belize with plenty of swamps and savannahs. RAZ went all out in ensuring this zip line is both fun and safe for all visitors – instructors Levi and Joaquin are simply the best. If you’re lucky, you might get to see a turtle or a crocodile making its way down the river! There is even a suspension bridge to cross over – just don’t look down if you’re afraid of heights! 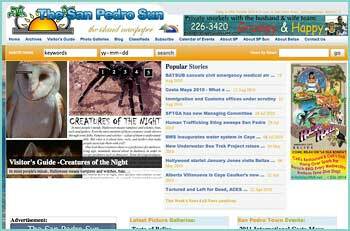 For a whole article on this zip line, click here!